ADSL is a broadband technology delivering high speed Internet over your existing copper Phone line. 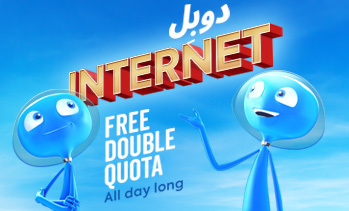 With speeds reaching 20Mbps, you can enjoy a fast Internet allowing everyone at home to download files, watch online videos and movies, stream music, play your popular online games, connect and chat with the family and friends while seeing them, send and receive e-mails and browse the Internet, all at the same time. To subscribe to IDM ADSL services, you need to have a fixed phone line (landline) and fill in IDM’s application form. All above ADSL plans are subject to special offers for 10$ set-up fee only! To get started and subscribe please visit our Special Offers page. Using Prepaid Cards available at any Authorized IDM dealer. Online using a Credit or a Debit Card, through IDM’s Account Management Center. Through a Bank Domiciliation Agreement. 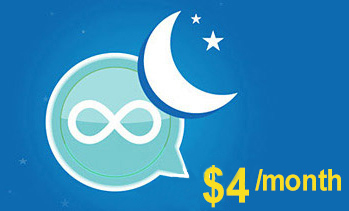 The Unlimited Night service allows the subscriber to benefit from unmetered traffic consumption every day between 11:00 pm and 7:00 am. Among other benefits, the Unlimited Night service is the perfect solution to the frequently recurring large downloads that PCs, laptops, tablets, mobile phones or any other connected smart devices perform regularly to update applications and operating systems. Once activated, the subscriber will benefit from an Unlimited consumption between 11:00 pm and 07:00 am every day for the duration of the current Internet subscription. Ex. 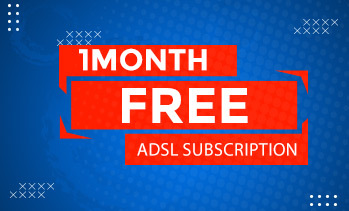 : if a user subscribes to the Unlimited Night Feature on the 7th of a month, and his ADSL subscription expires on the 2nd of the next month, the user will benefit from a 25 days Unlimited Night. You need to know if your phone line is ADSL ready ? Your form has been successfully submitted! Our sales team will call you within 48 hours.